Summer will be here before you know it. It is easy to forget about in all of the end of the school year chaos. Get your summer activity plan in place with an easy DIY summer activities board. I am a planner at heart. Lists, calendars, and detailed schedules are kind of my thing. Unfortunately, my kids haven’t caught that bug yet. As they have gotten older, the usual by-the-numbers schedule doesn’t cut it during summer break. 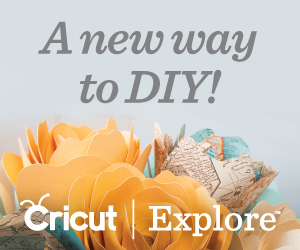 Instead, we’re taking a new approach this year with this DIY summer activities board. Each day has a specific theme and has only one “structured” activity. This theme is a little different than your average summer calendar. I wanted to make sure that we remained productive. Each Monday the family will take part in a home improvement, decluttering, or cleaning activity chosen by me. These are not huge undertakings because I don’t want it to take the entire day. A couple of the days I want to take it a step further and make dinner without electricity. Then we will spend the evening by candlelight. Start by removing your mini clothespins from the packaging. Align the clothespins on a piece of cardboard or newspaper and cover with spray paint. After the spray paint has dried, flip your clothespins over and again, cover with spray paint. Now, print out your printable summer activities cards. Cut apart your summer activities cards and fill out any blank ones you want to customize. You only need 8-10 activities per category for summer break. If you like all of the ideas already on the cards, there is no need to fill out extras. Next, pull out your poster board and write the words “Summer Activities” across the top of the short end with your Sharpie. If you don’t trust your handwriting, grab some large cardstock letters from the Dollar Tree to make your title. Underneath your title, label your days of the week as pictured. I added a strip of yellow poster board to delineate the days. This is totally optional. Next, glue one mini clothespin under “Mon” in the center with hot glue. 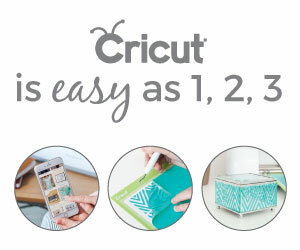 Now, place one of your cards next to it to measure where to glue your next mini clothespin. Continue gluing your mini clothespins under “Mon” until you have 5 in the row. Next, fill in the rest of your board with 5 mini clothespins under each day. Lastly, add 4 cards under each day. Clip the extra cards on the 5th pin. Replace the ones you do as needed. We are so excited for summer now that we have this DIY summer activities board. This is the perfect way to stick with your summer goals without fighting for a rigid schedule. I’ll give you an update on the efficacy of this new schedule at the end of the summer. Before you go, I’d love to know what your favorite summer activity to whip out for your kids is. Let me know in the comments!